With more than 7,500 creative and tech companies helping to make Manchester one of Europe’s top 20 digital cities, Will Eggleston, solicitor at North West independent legal practice Brabners, provides his top tips for building a tech success story. Finding the right niche is essential for the success of your start-up – make sure your business idea is viable and refine it if necessary. Research your market and explore different revenue models. As well as learning about the competitor landscape and main industry players, their pricing and marketing tactics, speak to potential customers and carry out some real-life product testing to gather opinions and insights. Read up on the different legal business structures you can adopt; operating as a sole trader or unincorporated partnership might reduce admin and paperwork, but having unlimited liability could be risky business. Consider whether a company limited by shares is the most appropriate structure; seek professional advice on the tax and liability implications of different business structures, and investigate alternatives such as Limited Partnerships (LP) and Limited Liability Partnerships (LLP). From validating an idea to finding potential partners, networking and building the right relationships can help to get your start-up get off the ground. Professional networking sites such as LinkedIn can enable you to boost your company’s visibility and make connections, whereas an experienced mentor can support you in setting career goals, making smart business decisions and learning new skills. Protecting your brand from the outset will enable you to move your business forward with confidence. Don’t risk losing momentum by realising too late that your brand infringes another company’s rights, and register trademarks and patents early on to avoid others benefiting from the goodwill you build up (don’t forget to diarise important dates to avoid missing renewals). Additionally, having a non-disclosure agreement (NDA) readily available is imperative before any business conversations take place between you and an outside party, to maintain the competitive advantage of your start-up. Although venture capital investing is by far the most well-known way of raising capital for your business, angel investing is also a significant source of investment for start-ups – as well as providing equity finance, an angel investor can also offer invaluable experience and knowledge. If you’re struggling to find investment, consider alternate options such as crowdfunding; with a short but solid pitch, platforms such as Kickstarter and Indiegogo could help you raise enough to get your product off the ground. Businesses working with distributed ledger technologies can raise capital via token sales; initial coin offerings (ICOs) may not be as attractive as they were a couple of years ago, but this remains a viable option for blockchain products. A strong team is essential for a healthy company. Investing in talent, and finding team players who share your values and vision, is vital in creating a business both you and your employees believe in. To reduce risk and uncertainty, the relationship with your employees should be formalised with an employment contract, removing any doubt on either side about what is expected. Include intellectual property (IP) assignments in your employment contracts to ensure that any IP created by the employee during employment is owned by the employer. Your contracts with suppliers and customers form the backbone of your business model so having these professionally drafted is a worthwhile investment for the business. By clearly setting out the roles and responsibilities of both parties you may avoid disputes before they ever arise and, when relationships break down, having robust agreements which protect you from unnecessary liability are vital. Consider including mechanisms for monitoring your suppliers’ performance so that you can address any issues before they start to affect your business. With cost-friendly cloud-based tools that make it easy to work remotely, it’s entirely possible to build a company without a physical headquarters. Business incubators cater to the new generation of workers and allow start-ups to cut down on office space costs as well as providing business mentoring to kick-start their companies. Personal data is an incredibly valuable and useful asset for many businesses, but pay attention to the General Data Protection Regulation (GDPR) and other privacy laws – the fines for serious breaches of the rules are heavy (up to €20million or 4% of annual worldwide turnover), and the reputational impact for a consumer-facing business could be even more damaging. Finding a lawyer who is familiar with your area of business can help your start-up find its direction and navigate the market. Although legal fees can often be daunting for new businesses, lawyers are becoming more flexible in this respect and therefore may be willing to consider alternate means of payment, such as deferring fees for equity in the business. 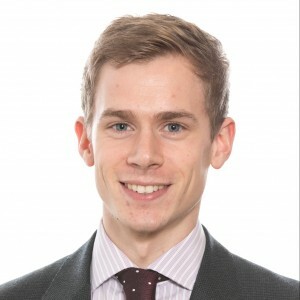 Will is a solicitor within the specialist commercial team at North West independent legal practice, Brabners. He advises a wide range of clients on all types of commercial and consumer contracts, with a particular emphasis on data protection (GDPR) and innovation for businesses in Manchester’s thriving tech sector.